Mollie is easily the best real estate agent I've worked with. Very knowledgeable, not pushy, and easy to reach anytime of the day. Having grown up in the area, she easily found a home that fit us perfectly. She also helped us sell our old house within 24 hours! Mollie is very good at what she does and I'd recommend her to anyone. 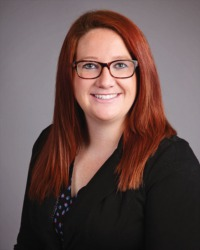 Mollie helped my husband and I purchase a home in Pendleton last month and we cannot say enough great things about her and how much she assisted us through the process! She is very available, organized and thorough and goes the extra inch to assure everything is done correctly. She was a pleasure to work with and we would highly recommend her to anyone looking for a home or to sell their home! Thank you Mollie!